So did Shakespeare… and he was a pretty successful guy. That was 400 years ago. Self-doubt is nothing new. Thankfully, there are proven methods you can use to eliminate it forever. Read on to find out how. This article is brought to you by Audible – I’m sure you all know by now I LOVE Audible audiobooks. I’ve got over 500 on my phone. Right now I’m absolutely loving ‘A Short History Of Nearly Everything’ by Bill Bryson. I’m listening to it with my kids in the car and I’ve never seen them so excited about history. Every month Audible members get one credit good for any audiobook you choose – from a selection you can’t get anywhere else. You also get access to exclusive audio workouts. Text RMRS to 500500 or click here to claim a free book from Audible. But self-doubt has a power that goes beyond what you feel at the moment. It correlates with the past. And if your past hasn’t been filled with achievements – that tends to be a burden going forward. I was never great at it before, so why bother trying now? Mixed with fear (particularly fear of failure), self-doubt has that same crippling effect which some people get before their first time skydiving, public speaking, or even going on a date. The difference is those events come and go quickly. The nerves kick in beforehand but subside as you start getting a rhythm. But self-doubt is another ball game. 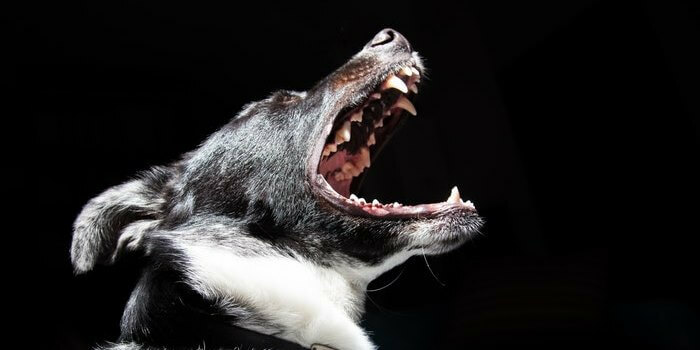 It’s no longer nerves – they have mutated into mental “watchdogs” that bark when you approach unfamiliar territory. Their job is to keep you in the neutral zone between success and failure. They don’t want you to take risks. However, there are a number of ways to cure self-doubt. They’re good habits which train you to always see the big picture – that YOU are in control of your life. I deal with self-doubt too. So does every successful person I’ve ever met. I view myself as a kid who grew up in a trailer park, was known as Bony Tony, was terrible at talking to girls, and never went after what I wanted. If you feed self-doubt, it’ll get stronger. But if you starve it, it’ll get weaker. You’ll start to build up an ability to keep that self-doubt at bay. For me, going to the gym first thing in the morning sets the tone for the whole day. But if that sounds a little daunting, don’t worry. Studies show just going for a walk out in nature gives you the best psychological boost. Not taking action leads to self-doubt. 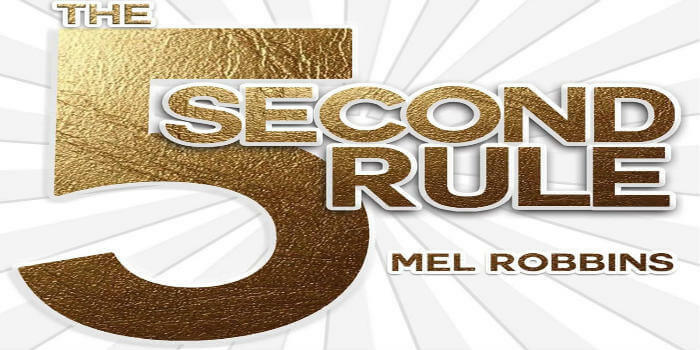 If you have trouble taking action, check out The Five Second Rule by Mel Robbins – an awesome book that teaches you to just count five-four-three-two-one, stop thinking, and do it. Click here to grab this book from Audible. When you overthink things you fall into analysis paralysis. I nearly fell down an overthinking hole while making the video for this article. I wanted to film in a different location, but oh no, the lighting was off, people were going to see my dirty office, what if the whole tree fell down… but I snapped out of it, grabbed a camera and made the video. After all, what really matters is that you guys got some great information – right? Developing expertise will give you a massive confidence boost. It doesn’t even matter what you’re an expert in – it’s all about the sense of mastery. Yes, you CAN become an expert – anyone can. When I was in fourth grade I was an expert in World War II. So when it came up in history class I had the confidence to stand up and talk about it. My teachers were amazed that this nine-year-old kid could lecture on World War II in more detail than the textbook. How did I do it? It wasn’t because I was super smart. It was because I was obsessed and read everything I could find about it. You can do this with anything – you’ve just got to find what you’re passionate about. If you compare yourself to other people – you’re in for a world of hurt. A 2014 University of Toledo study found that if you spend a lot of time on social media your self-confidence goes down. You see all the guys out there who are incredibly rich before the age of 25, or have six-pack abs at 60, and you start to think of that as the norm. But that is not average. The fact that that person is really good at those particular things doesn’t make you somehow a failure. That is not a true comparison. You see your own struggles and dirty secrets, but you don’t see theirs. They have the same issues you do. No one is perfect – just strive to be the best that you can be. 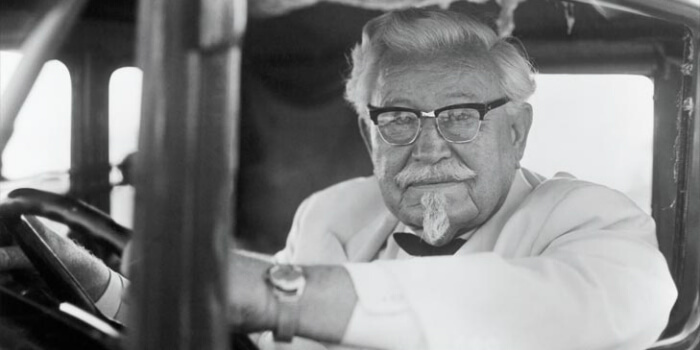 Know how old Colonel Sanders was when he finally sold Kentucky Fried Chicken and was able to take money off the table? He was 74. He was 62 before Kentucky Fried Chicken really started to gain ground – and he started it in his early 40s. So if you’re 40 (or 50, or 60) and feeling like it’s too late… it’s not. Focus on how much time you DO still have. Take care of yourself and you’ll have even more. Gentlemen, it’s never too late – you always have the power to change. Failure and self-doubt go together. Are you afraid to take a chance in case you fail? Here’s the truth: you WILL fail. Repeatedly. No matter what. It’s a normal part of life. The trick is not to dwell on failures or see them as permanent. Just pick yourself up and keep going. Fail fast, move forward. Don’t be afraid of failure. It’s like learning to ride a bike as a kid – you’re going to fall off. That’s the only way to learn to ride a bike. Sitting around reading a book about riding a bike won’t cut it – you have to learn from experience. Instead of viewing everything as ‘success or failure’, try viewing it an experiment. If you don’t like the results you got, consider what you can learn from them for next time – and try again. And again. If I succeed two or three times out of ten, I’m happy. 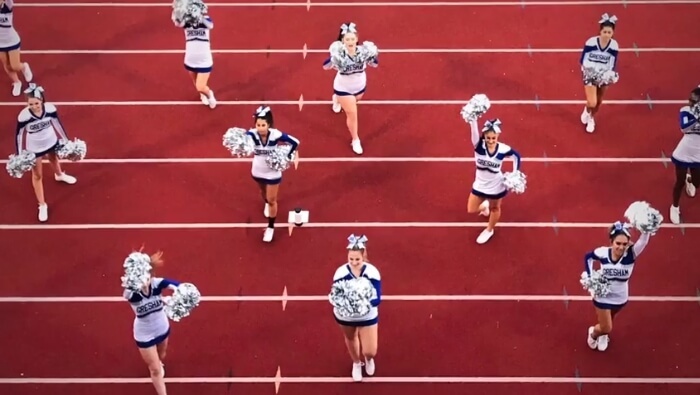 No – I’m not talking about that type of cheerleaders. I’m talking about people who’ve got your back and who make you feel better about yourself. Looking at my phone, the last people I talked to were my wife, Aaron Marino, Ryan Masters, and my friend Tom Webster. All of those people make me feel better when I talk to them. They always have something positive to say – or if they do give me a bit of criticism they do it with love and respect. Surround yourself with people who lift you up – because otherwise they’re going to feed into the self-doubt and bring you down. You hear ‘avoid negative people’ a lot – that does NOT mean you should ditch your buddies when they’re depressed. It means avoid people who are toxic – who will always be negative about YOU. You know who they are – and it’s very painful when they’re family. I’m not saying to cut them off completely – but you’ve got to set boundaries. Are you an optimist or a pessimist? Let me ask you a question. You look in your backyard and a tree branch falls down – what’s your reaction? Same event – but your reaction to it says everything about you. If you’re the ‘Oh no, will the tree fall down?’ guy – and believe me, that can happen to all of us – over time, work to actually change that. Make a habit of writing down things that you’re grateful for and things that you’ve accomplished. By simply training yourself to pay attention to the good stuff, you can become a much more positive person. 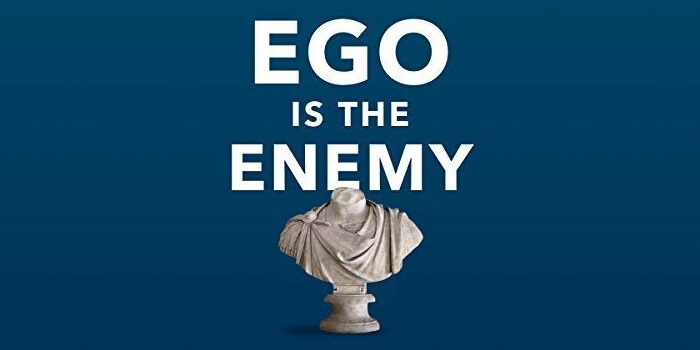 This is for anyone regardless of what they’ve achieved – keep your ego in check. Why? Let’s take it from Newton’s third law: for every action, there is an equal and opposite reaction. An inflated ego might seem okay at first. You’ll have fun showing off or bragging about your stories. But when you experience failure… it hits you harder than it ever has. The bigger your head is, the harder you fall. That’s why you need humility. I consider this a distant cousin of self-doubt (both concepts share a family tree but have contrasting genetic makeup). Along with being humble – you need a thirst for learning. You might taste success a couple of times, which helps you grow in self-confidence. But every successful moment should also be a reminder that there’s more to learn. There’s more to improve. People call me an “expert” often, but I consider myself an eternal student. I see things through the eyes of a child – with lots of curiosities and much fewer assumptions. That’s exactly the way Aristotle, Socrates, and Plato lived. Okay, you say – but how am I going to find time to actually implement this? Well, that’s where Audible audiobooks come in. You can take action and start living a life of continuous learning with ZERO time investment. I listen to a book a week while I travel, exercise, and do chores. Click here to claim your free audiobook from Audible or text RMRS to 500500.